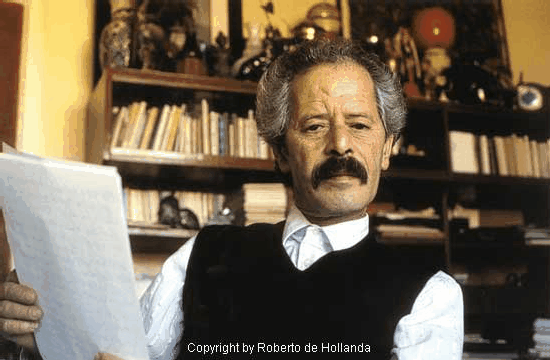 Mohamed Choukri, who became one of Morocco's most famous writers, was born on July 15, 1935, in Beni Chiker in the Rif mountains of northern Morocco near the city of Nador, during a time of famine. In 1943, when he was seven years old, he and his family moved to Tanger. Later his poor and dysfunctional family migrated to Tétouan, where at the age of eleven, Choukri fled from his home to escape his tyrannical father. Eight of his brothers and sisters died of malnutrition or neglect. Choukri later was employed by a French family in Oran, Algeria for several months. In 1955, at age twenty, Choukri began to teach himself to read and write, helped by teachers who were dedicated to the eradication of illiteracy and ignorance. Choukri soon began to read, write and enjoy books written by Arab and French authors. In Tangier Choukri became inspired to write candidly about his life in classical Arabic, different from the Moroccan dialect of darija (the vernacular) and the Berber dialect of his birth. Dar al-Aadab a monthly periodical based in Beirut, Lebanon, published Choukri's first short story in 1966, Al Unf ala al-Shati' ("Violence on the Beach"). During the late 1960s, he associated with the hippies who were in Tangier at that time, and he often wrote stories in cafés, bars and restaurants. In 1972 Mohamed Choukri met the expatriate writer and composer Paul Bowles, who recognized his great talent as a writer. Bowles encouraged his writing and translated, with Choukri's assistance, For Bread Alone, written in 1972. Bowles arranged to have this work published in English (London: Peter Owen, 1973), and it sold very well. In 1981 a French version followed—Le Pain nu—and in 1982 the book was published in Arabic as Al Khubz al-Hafi. Choukri's autobiographical work described his difficult early life—with vivid descriptions of experiences as a vagabond, prostitution, petty crime and drug use—breaking all literary rules and religious taboos in the Arab world at that time. For Bread Alone has now been translated into many languages. Tennessee Williams described For Bread Alone as "A true document of human desperation, shattering in its impact." Originally banned in Morocco, this book was permitted to be sold and read in Morocco in 2000. 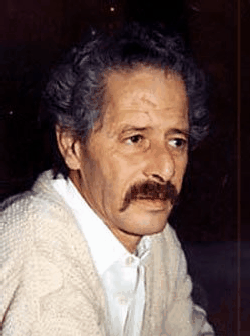 Other literary works by Mohamed Choukri included several more novels, short stories and a play, which further earned him literary fame both in Morocco and in other countries. Some of Choukri's earliest stories were first published in the United States in Harper's Bazaar, Transatlantic and the literary magazine Antaeus, co-founded in 1970 by Paul Bowles and the writer, poet and editor Daniel Halpern. Choukri also contributed to various newspapers and magazines in France, Iraq, Lebanon and Syria, in addition to Morocco. Mohamed Choukri pursued and eventually became a close friend of the writer Jean Genet, who visited Tangier in the 1970s and 1980s. (Jean Genet is buried in the Spanish cemetery overlooking the Atlantic in Larache, a fishing port south of Asilah.) Choukri's friends included Brion Gysin, who lived in Tangier beginning in the early 1950s and who in 1953 opened the 1001 Nights restaurant adjacent to the Menehbi palace on the Marshan. Other associates included William S. Burroughs, Edouard Roditi and Juan Goytisolo. In 1973, when Choukri learned that the famous playwright Tennessee Williams was staying in Tangier, he determined to befriend Williams, and he did. In 1992, Choukri wrote Jean Genet et Tennessee Williams à Tanger, with an introduction by Gavin Lambert and a note by William Burroughs. His book Paul Bowles: le Reclus de Tanger was published by Quai Voltaire publishers in Paris in 1997. Eventually however, the friendly and working relationship which Bowles and Choukri had in the beginning dissipated in the last decade of their lives. He was also a teacher and was awarded a chair in Arabic literature at Ibn Battuta College in Tangier. Throughout his early years in Tangier, Mohamed Choukri was a familiar face in the bars and restaurants of the Petit Socco where he often wrote. In his later years he preferred to socialize and drink at the bar in the Negresco restaurant, the Café Roxy, Café de la Grand Poste and other haunts. Sadly, when Mohamed Choukri was diagnosed with cancer of the throat, he refused to stop drinking or smoking. After months of suffering, he received medical treatments and surgery at the Military Hospital in Rabat. He died there on November 15, 2003, at the age of 68. Mohamed Choukri's funeral and burial were held the following day at the cemetery on the Marshan in Tangier. A memorial in his honor was held in Tangier several weeks after his burial, organized by his friends and attended by many admirers of his life and accomplishments. Choukri ranks as one of the most famous Moroccan writers in Tangier. Al-Khubz Al-Hafi (For Bread Alone), Mohamed Choukri's acclaimed autobiographical novel, was published in Arabic in 1982. In 2003, an adaptation of For Bread Alone, Il Pain nudo, with dialogue in Italian, was filmed in Rabat, Salé and Casablanca, Morocco and in Italy by A.E. Media, with the role of Choukri performed by the talented French-Moroccan actor Saïd Taghmaoui. The film was directed by Rachid Benhadj and produced by Roberto De Laurentis, with cinematography by Pierluigi Santi and additional photography by Claudio Martinez. In Tangier (London: Telegram Books, October 2008). Collection of Mohammed Choukri's writings: Jean Genet in Tangier and Tennessee Williams in Tangier, translated by Paul Bowles, and Paul Bowles: le Reclus de Tanger, translated by Gretchen Head. A YouTube.com video of Mohamed Choukri in Tangier, Morocco. Translated from the Arabic by Paul Bowles, who wrote the Introduction. To see early photographs of four other Moroccan writers and storytellers whose works were translated by Paul Bowles, click here. 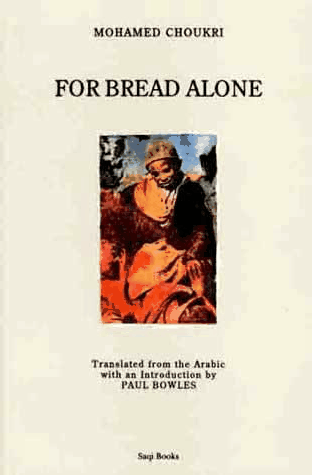 For Bread Alone by Mohamed Choukri was translated from the Arabic by Paul Bowles, who wrote the Introduction.